Lundin Petroleum raised its output guidance on Wednesday and said it would drill a record number of exploration wells in 2019. The company now expects output of over 150,000 barrels of oil equivalents per day (boepd) in 2020 from a previous forecast of more than 130,000 barrels and up from 81,100 boepd in 2018. In 2023, output is expected to exceed 170,000 barrels per day, up from 160,000 barrels expected previously. 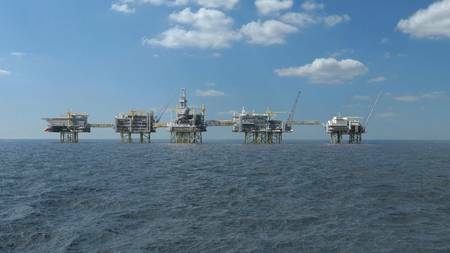 The increase will primarily come from the startup of Norway's Johan Sverdrup oilfield, the largest North Sea discovery in more than 30 years, but also from its existing fields as well as other soon-to-be developed assets, it said. Lundin plans to drill 15 exploration wells in 2019, its largest number to date, for a total budget, including appraisal costs, of $300 million, it said ahead of an investors' presentation in London.